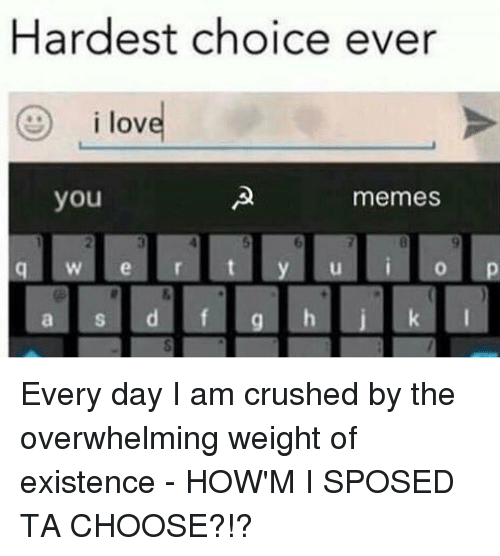 Crush, Memes, and I Love You: Hardest choice ever i love you memes Every day I am crushed by the overwhelming weight of existence - HOW'M I SPOSED TA CHOOSE?!? 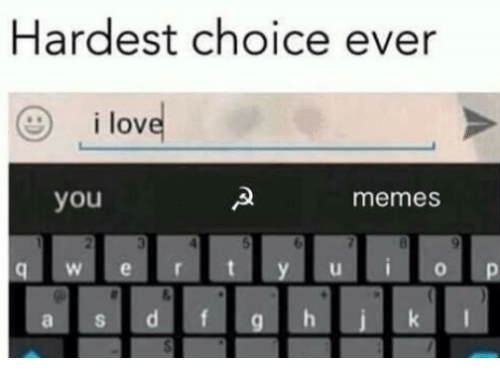 Every day I am crushed by the overwhelming weight of existence - HOW'M I SPOSED TA CHOOSE?! ?